America is deemed the repository dreams, but it is also the supreme engine of nightmares. Fantasies of perfection just as often become realisations of bloody awareness. Where grievances are resolved by bullets and briefs, the appearance of the former is bound to cause an avalanche of comment. 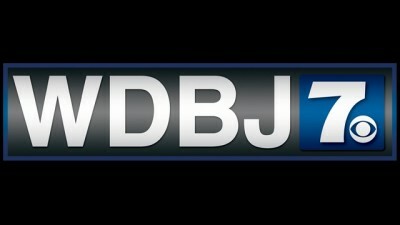 Witness the killing of two individuals on WDBJ-TV on “live” television near Moneta: reporter Alison Parker and cameraman Adam Ward. The interviewee, executive director of the Smith Mountain Lake Regional Chamber of Commerce Vicki Gardner, was injured. The gunman was Vester Flanagan II, a former employee who had been fired by the network. When working for the station, he would use the on-air name of Bryce Williams. His 23 page fax to the ABC outlined a range of disagreements, citing racial discrimination and sexual harassment. “It is effectively an execution,” says the stunned CNN anchor. Live executions certainly have their power. The followers of ISIS understand it, and attempt to disseminate raw images in their totality. Editing is eschewed. Beheadings are released on the net like cruel bolts of realisation. The response then, is to limit circulation, cut the images and maybe bar them altogether. The war of images is not only to show them, but how not to show them. The dreadful irony of this was missed when discussion shifted to whether the late gun man would also, should he survive, face the death penalty. The news community noted that Virginia is in the “top five” in the executioner’s league. The debate proved to be academic in the end: Williams would die of his self-inflicted wounds. This brings us to another feature of the news community. What these shootings demonstrated was a paternalistic censorship. People cannot see what actually happened. Reality is too grotesque, the great unpardonable, to be allowed in US media. Demons and targets of moral opprobrium are – the gunman was given a due serving on “live” television, and there was even a sense of remorse that he might survive his own self-inflicted wounds to make a trial. The Hollywood cleansing is needed, a cloth that does the cleaning rounds on the wickedness that is reality. Only those in the media channels can view it – repeatedly, there is this homely southern decency that some things ought not to be done. Bryce Williams was one of the few to witness his handiwork. He was witnessing the live shot, both the bullets that were being fired, and the actual interview. He was killing, literally, live. In its purest vulgarity, it was a statement of anti-editing, a direct lethal statement. In a perverse sense, he was moving beyond the fanciful hypocrisies of the news establishment, the self-censorship mechanism that governs the release of news to the general public. The very notion of doing things “live” in news is often far from the truth. Much is contrived. Much is delayed. Subjects are interviewed in offices that are not theirs, doing work that is staged for the camera shot. There is, in other words, very little live about a medium that tends to simulate a form of death. The life, in short, has left the screen. It is delayed, even suspended. Central to the deception is the idea that exactitude and accuracy count, and that these are supposedly conveyed to the public. “We will read the tweets out to you. Exactly as they were said.” This is the CNN anchor line in the wake of the shootings, and of course, such accuracy should immediately get one thinking: reality is only tolerable through the sorting medium of the televised medium. Not even Facebook continued to air the video. Links were deleted. The most live of feeds had gone into the mode of censure and suspension. Viral videos showing koalas scurrying after vehicles in Australia are permissible; the spectacle of a former colleague shooting those he has a beef with is not. Naturally, the sentimental complex immediately took hold. There were toothy grins, and depictions of happy humans, the best pictures, the most enthusiastic vignettes of Parker and Ward. Ad hoc memorials were being organised. Then, as with every murder event that makes the US news circuit, the shrink commentariat had to make a show. What was the mental furniture looking like for the shooter? The assailant had “anger management issues”; there were issues of disturbance. From without, the ventriloquists were taking over. The medication route was suggested by such individuals as psychiatrist as Janet Taylor. The news providers had become the news. This was a supreme indication about the anchors becoming the centre of the world. The bullets gave them a bloody centre stage. We are unlikely to hear the last of this, not because it was a tragedy (yes it was) but because it typified the assumptions of the media establishment. Williams, if he appreciated nothing else, understood the power of death on “live” television.